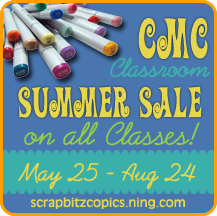 Scrap and Stamp with Friends: Summer Sale! Very sweet card - love your coloring! oh wat een plaatje Renkata! Such a sweet card Renkata!! Fab coloring! Just adorable she is so cute. Coloring is stunning. Love all the embellishments and what you did with the ribbon. Beautiful card Renkata! I one your layout and coloring! Gorgeous! Renkata, Your card is beautiful and your coloring is perfect! Thanks for the wonderful inspiration. Fantastic card, Renkata! Awesome coloring of the cute image! Love the colors you used, your card is beautiful ! Your card is fantastic. I love the image you chose, she is adorable. Beautiful coloring and design. Naturally, your coloring is amazing. I also like your uncluttered card design. This card is so sweet. Very nicely done. Your card is so very adorable! The coloring is absolutely wonderful and the image is darling. Wonderful card!! TFS. Awesome to see you and I just LOVE the card your made for the HOP! So many of my favorite colors and I especially love the vibrant pink...perfect for Summer images!! I hope you have been doing well....I was away down in Baltimore, with all the Girls at the big Retreat and boy did we have fun. You can bet I'll be excited to go on the next trip and hope it's as fun as this one was!! Great finish to the blog hop!! I enjoyed the journey!! She's so sweet. I just love how you've colored her. Love that ribbon too. Renkata, I love that you picked that shade of green and made it work so well. Great job! Great job and that ribbon is perfect for the challenge!!! Great job. I am inspired to use pink and green together. What a cutie and beautiful card Renkata! Love it! Super cute card, great coloring and your choice of embellishments are perfect esp like the ribbon on the left hand side. Ah she certainly looks sorry for something! Very cute though. Great job! Thank you for sharing. Beautiful card, oh I love that ribbon too! So adorable! You have created a fabulous card! This is a fabulous card and fab coloring. Love the ribbons. Such a pretty card! Love that beautiful ribbon too! So cute! You did an excellent job coloring! Great card! I love your coloring. That ribbon is lovely too. What a way to finish the hop! Such an adorable card, and what a great coloring job, so cute!!! Love how it all came together, well done! FABULOUS Renkata~~hope you are enjoying yourself!! Thank you so much for sharing this hop!! Super cute card! I always overlook this image but you are making me really like it! Thanks for such a fun hop! Wow! Fantastic card! I love the ribbon accents on the card and on the image. Such a unique design. Beautiful colors and great colouring. Amazing card Renkata. Lovely coloring and fabulous ribbon. Love this cute image and you colored her just beautifully...great accents and paper too! love your beautiful card with its jewel accents.